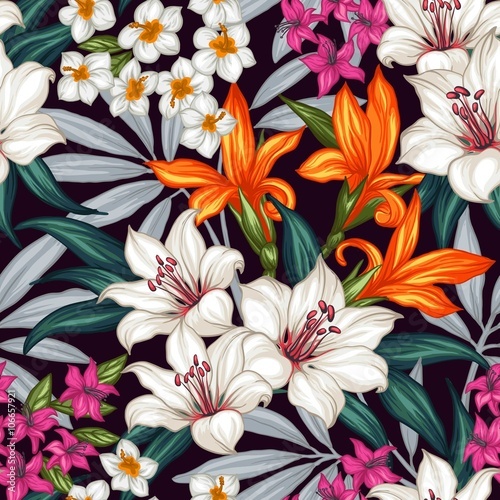 Seamless exotic pattern with tropical leaves and flowers. Blooming jungle. Vector illustration.